There is no better time than now for young African-Americans to pursue a science, technology, engineering or math (STEM) education, according to University of Central Florida engineering educator and researcher Pamela McCauley-Bush. A pioneer in the engineering world, Dr. Bush, associate professor in the UCF Department of Industrial Engineering and Management Systems, once had to overcome immense hurdles to become the first African-American female granted an engineering Ph.D. in her home state of Oklahoma. “We no longer have to fight to sit in front of the bus, to go to class, or to gain an education. However, in many cases, today’s fight is to convince each other of the opportunities we should pursue,” she writes in a recent blog post. According to Nielsen’s 2011 The State of the African American Consumer report, African Americans are major consumers of technology with the buying power of nearly $1 trillion annually. “Given the consumer behavior of African Americans, it would benefit our community to participate in the industry creating these technologies,” Dr. Bush writes. In addition to inspiring fellow African Americans to pursue a STEM education, Dr. Bush is passionate about helping women navigate their way to success and leadership roles in male-dominated STEM fields. Her book, Transforming Your STEM Career Through Leadership and Innovation: Inspiration and Strategies for Women, published by ELSEVIER Academic Press in 2012, is a practical, research-based guide for individuals, organizations, communities and any academic program desiring to increase innovation and hone impactful leaders. At UCF, Dr. Bush’s research expertise includes ergonomics and human factors; cumulative trauma disorder risk modeling and prevention; and human impact in information security. She leads the Human Factors in Disaster Management Research Team. She recently achieved the distinction of becoming a U.S. Fulbright Scholar for her internationally recognized research on mathematically modeling human factors and related risks in disaster management. Her other numerous honors include the 2004 Distinguished Alumni Award from the University of Oklahoma; the 2006 Engineering Educator of the Year by the Society of Women Engineers; and the 2007 Engineer of the Year Award from the Florida Engineering Society. Dr. Bush joined UCF in 1993. She earned her bachelor’s, master’s and doctoral degrees in industrial engineering from the University of Oklahoma. 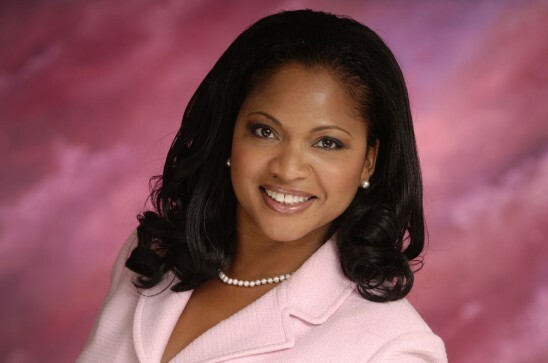 She is also a graduate of Dartmouth College’s Advanced Minority Business Executive Program.